If you or a loved one has been convicted of a crime in New York State, the sentence imposed by the judge may have devastating consequences. In New York State, those who have been convicted of a crime have the right to file an appeal. Today, we will go over the appeals process in New York State. While this is the last part of our nine part series, we encourage you to contact The Law Offices of Michael H. Ricca P.C. if you have any questions regarding charges you or a loved one may be facing.  In our previous post, Part 8: Sentencing, we reviewed the sentencing phase of the New York State criminal case process. While we talked about all the possible sentences you may receive in response to your conviction, the incarceration potentials are perhaps the hardest to deal with. 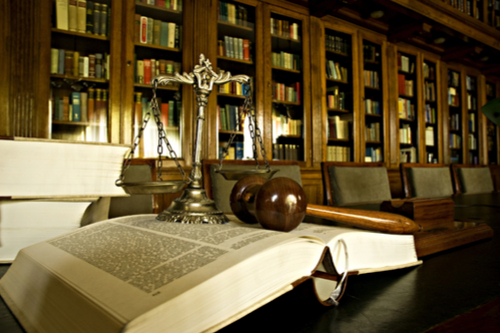 An appeal is a request made to an appellate court or appellate division. An appeal acts as a request for a review of the trial or motions that were filed in association with it for any errors that may have affected the outcome of the case. If you would like to appeal your conviction, you must file a notice of appeal within 30 days of your sentencing. It is important to note that your defense attorney is not required to submit a notice of appeal. However, if you request they file an appeal on your behalf, they will. The sentence that was imposed is invalid in accordance with the law. The sentence may be considered harsh or excessive. Before you file an appeal, however, you must first determine which court to file the request. This can often be discouraging. The help of a reputable and experienced criminal defense lawyer is highly recommended if you are going to pursue an appeal. It is important to remember that New York has a somewhat limited appeals process.  If your appeal is unsuccessful at the County Court level, the next option is to submit an appeals request to the New York State Court of Appeals. However, the Court of Appeals is not required to hear your appeal and may refuse to review your case. In fact, they are more likely to deny your request for a second appeal. After that, the only option available to you would be the United States Supreme Court. The United States Supreme Court is extremely busy. The only reason they will consider reviewing your case is if the individual who has been convicted believes their federal constitutional rights were violated at some point throughout their criminal trial. As such, the United States Supreme Court rarely hears appeals cases. Affirmance: This may sound like a positive outcome, but if you are the convicted individual, it is not. An affirmation means the appellate court has upheld your conviction. Through a review of the case, they have found that the prosecution has proven that you are guilty beyond a reasonable doubt and a fair trial was held. If you are appealing the sentence for your conviction, an affirmation means the court has agreed with the original sentence. Reversal: A reversal occurs when the appellate court agrees that there were issues with the conviction. A reversal may result in a several different subsequent outcomes. In the best scenario, the case may be dismissed following a reversal. If you plead guilty, a reversal may vacate your plea. However, a reversal may also result in a new trial. Modification: In some situations, the appellate court may feel that there were issues with a portion of your trial, but not enough to invalidate your conviction. To address this, they may issue a modification ruling. This may result in a change in your sentence or charges. However, it may also result in your case being returned to the trial court for a hearing on the specific issues they have cited. When an appellate court rules on a case, the prosecution is allowed to appeal that decision. Known as a “People’s Appeal,” this may result in the reinstatement of your charges. If this occurs, your case may be re-tried in the trial court. However, if you are acquitted of the charges during your trial, the prosecution cannot appeal this ruling. Do Not File An Appeal Alone! The appeals process can be just as intense as your trial. Because it is so hard to get a secondary appeal, it is extremely important that you work with an experienced criminal defense attorney on your arguments. For many, New York only offers a single appeal. The results of that appeal will affect the rest of your life after being convicted of a crime. The Law Offices of Michael H. Ricca P.C is known for their experience, reputation, and legal prowess. From your arrest and arraignment to the trial and sentencing phases, we are by your side. If you would like to file an appeal, our law offices are ready to help you fight your conviction whether you were previously represented by us or another attorney. While we hope this nine part series on the New York criminal case process has provided you with many of the key basics, you should never attempt to fight a criminal charge without representation. A criminal conviction can have a devastating effect on you and those you love. Unlike a public defender, an investment in a private criminal defense attorney is an investment in your own future and freedom. If you or a loved one has been arrested, contact our attorneys at The Law Offices of Michael H. Ricca, P.C. at (516) 500-1647 once you are able to do so for your free telephone consultation or visit us online at www.NassauCountyTrafficLawyer.com and complete our legal consultation form.